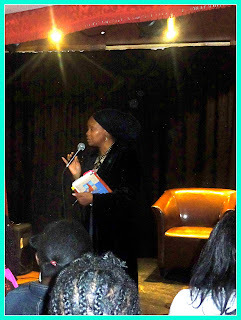 Respect The Fro Part 2, took place on the 22nd of October, and I was honoured to be invited back to talk for a second time. 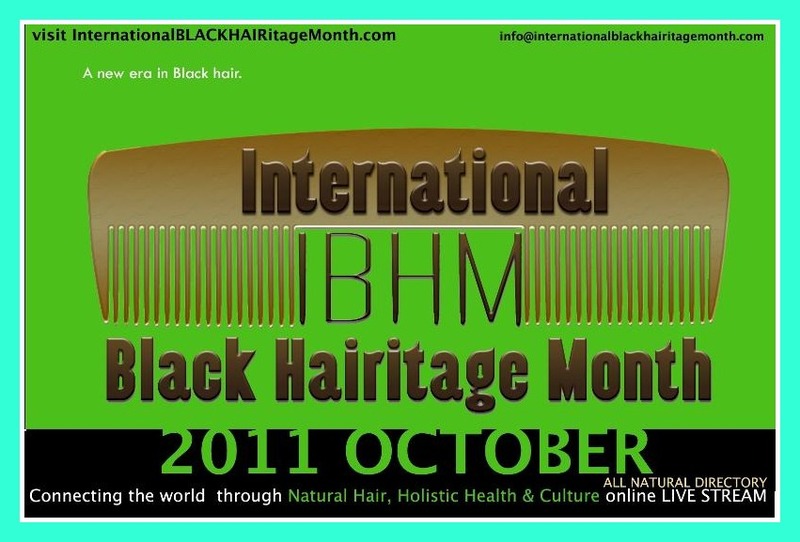 This time was particularly special as it was one of the many natural hair events taking place across the UK, and in 19 other countries, all being held as part of International Black Hairitage Month (IBHM). 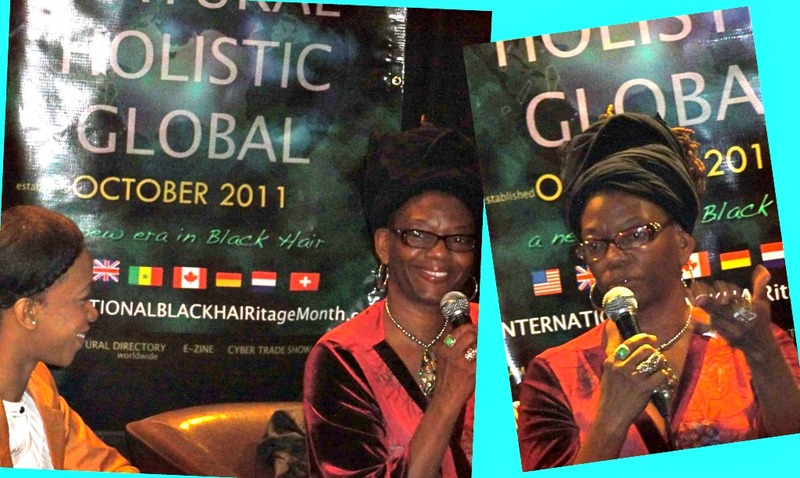 As you may be aware International Black Hairitage Month was this year established by Regina Kimbell as a way of unifying the diaspora through our shared experiences of natural hair around the world. Its a brilliant idea and I feel especially proud to have been a part of its very first year. 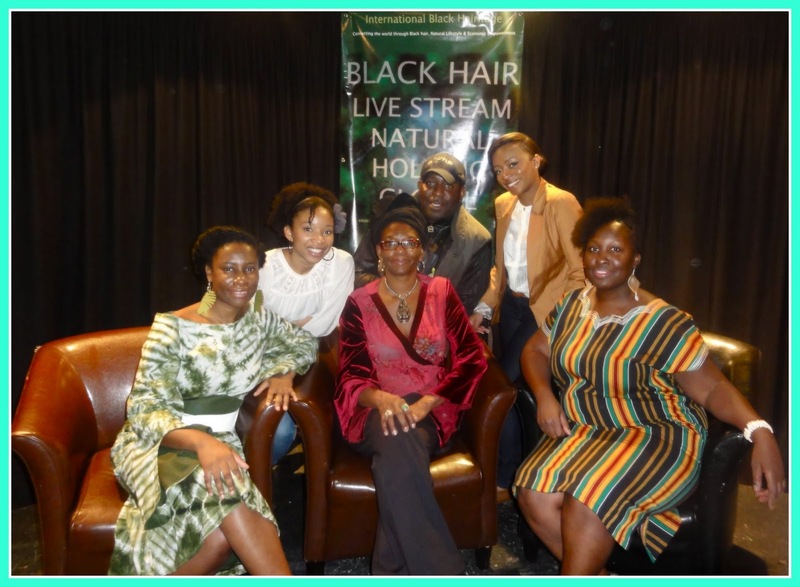 Despite being my second time on the panel at Respect The Fro, I was still nervous, but it was lovely to be alongside Pelumi Rae - Founder of Care For Your Hair and Regina Kimbell - Founder of IBHM and Director of My Nappy Roots. 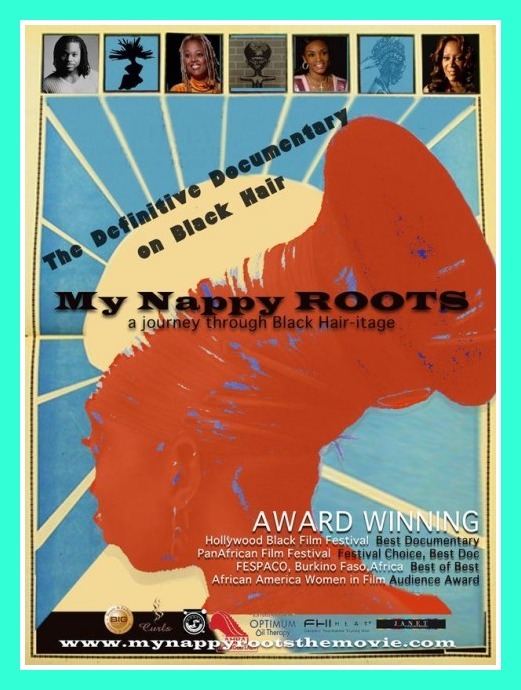 The day began with a full-length screening of My Nappy Roots. 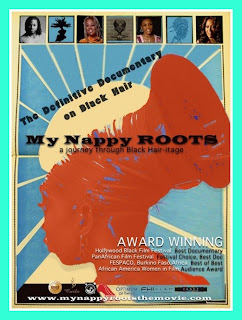 It was only a few nights before, in preparation for the screening, that I discovered the court case regarding My Nappy Roots by Regina and Chris Rock's film Good Hair. I'm not going to venture into too much legal territory except to say that Regina filed a case against Chris, for what could loosely be termed as having a few too many similarities in his documentary, which may have taken a little too much influenced from My Nappy Roots. Despite having enjoyed Good Hair, this discovery has tainted it a little for me. 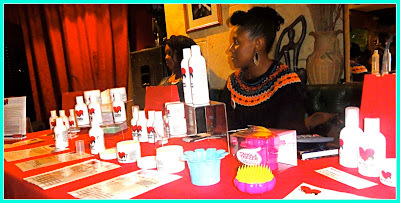 However there are issues addressed in My Nappy Roots that have been excluded from Good Hair, and for that reason I'm very pleased to have seen both. In particular I felt the handling of important historical issues in My Nappy Roots, gave the film a lot of strength as well as providing clarity for the topics that it later explores. In all honesty, I strongly preferred My Nappy Roots to the previous screening of 400 Years Without A Comb. 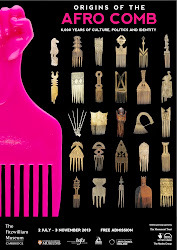 My Nappy Roots handled a wide range of topics relevant to Black hair, such as, styling, black businesses and politics, which it explored with the necessary balance of detail, and focus. 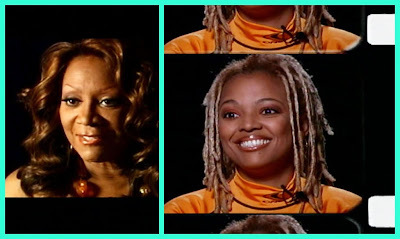 The film featured interviews with historians and individuals from the ethnic hair care industry, as well as celebrities such as Vivica Fox and Patti La Belle. One of my personal highlights was hearing what Motown Image Builder Maxine Powell, had to say. The film left me with some interesting food for thought which will I plan to share with you in future blog posts. The screening was followed with a Q&A session. 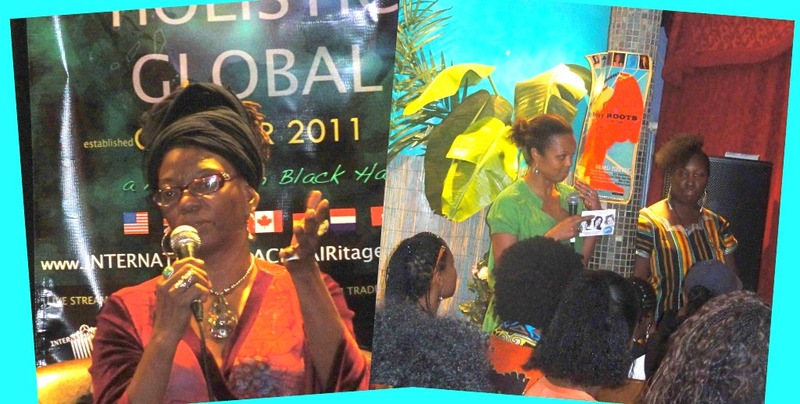 It was a privilege to be on a panel with Pelumi and Regina not least because of the strength of their work regarding Black Hair, but also because they are both beautiful women who radiate a reassuring warmth as soon as you talk to them. I love the Q&A's at Respect The Fro, because the room becomes a forum for both the audience and the panel to share, discuss and inquire all about hair. 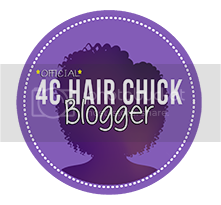 We covered various subjects including Big Chops (BCs) and styling options, as well as questions about time management, parents, and professionalism. 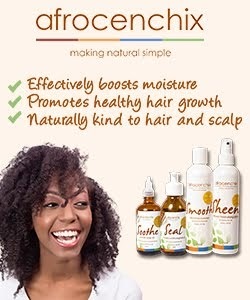 Its always exciting to to hear comments and questions from people about natural hair and I can only hope that I contributed something helpful to other women. It was also a brilliant opportunity for the audience to ask Regina about her film. Regina was very open with us about how the film had come about and her experiences during and since making My Nappy Roots, as well as the development of IBHM. After the Q&A the buffet was open for lunch, and the blessing of a Caribbean buffet on Saturday afternoon, looked to be appreciated by all in attendance. Over lunch Pelumi and I discussed many things with Regina, including future involvement in IBHM. We also discussed a little of Black British History, and I shared with her a bit more about the "Windrush" era. 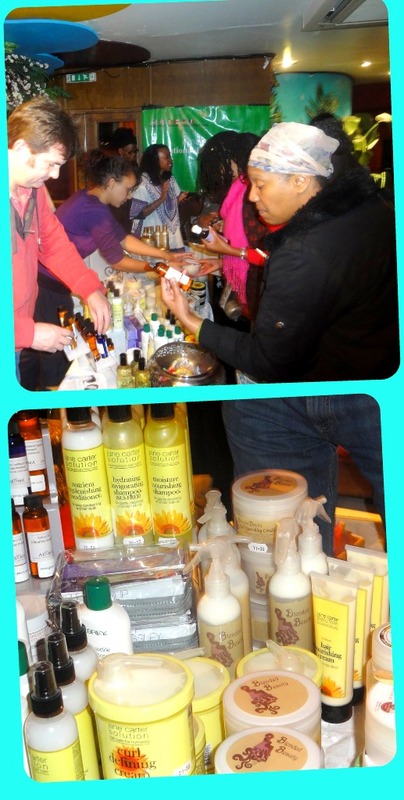 The break was also perfect time for people to see what was on sale. 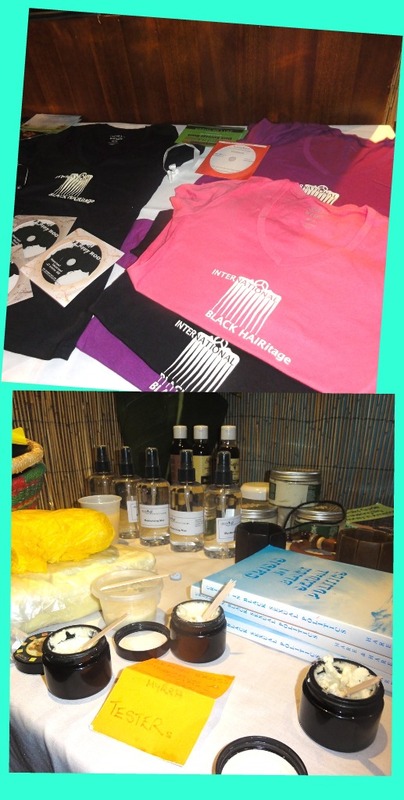 Vendors on the day included Gidore who also had a competition to win the new Keracare range of products for natural hair, as well Regina who had t-shirts on sale and The My Nappy Roots DVD. 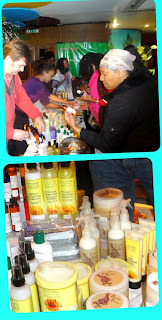 Sister E and Michelle also had products and books for sale, and it was lovely to see I Love Afro ladies again. Although time was short after lunch there was enough time for a poetry recital from Empress Nia-Jai, who's Poem entitled "Smile & Nod", I found brilliantly inspiring. Her message about the amazing impact we can can have on a stranger just with such simple actions, was very powerful. 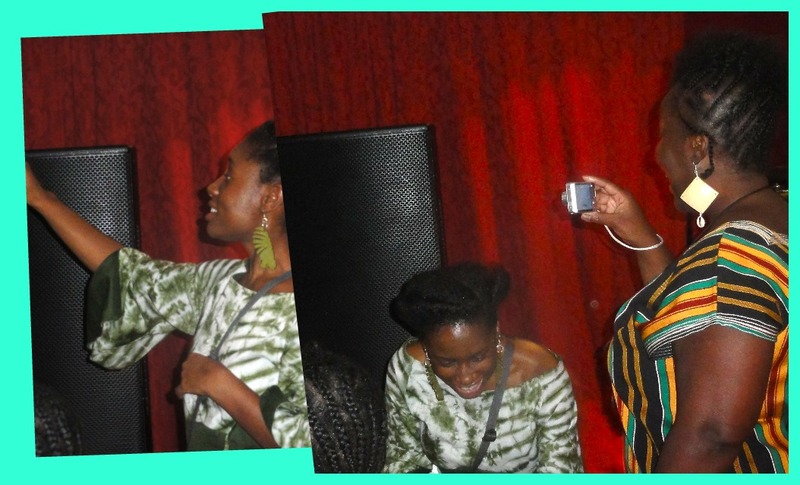 Before the end of the afternoon, there were prize give-aways, and myself and Pelumi shared a few hair care hints & tips with the audience, which was followed by a few closing words from Regina. 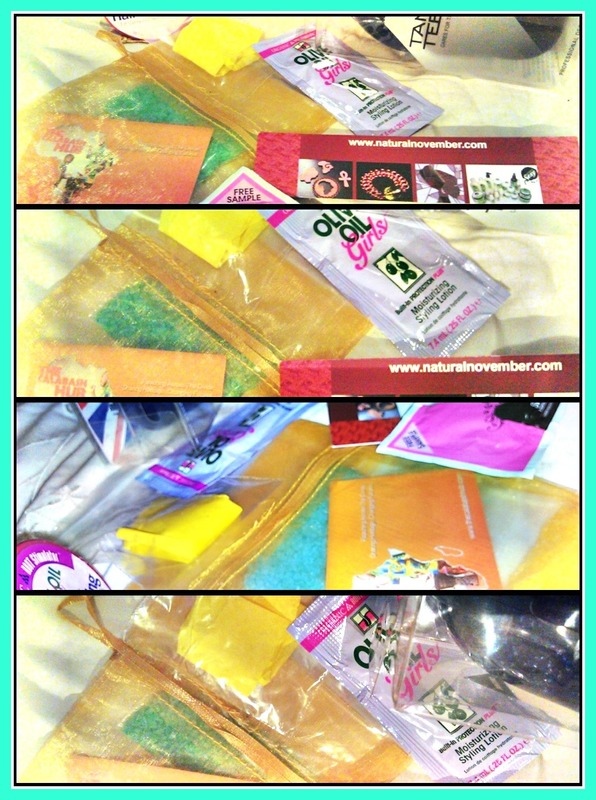 Once again everyone went home with a treasure bag which included hair products, a Tangle-Teazer and other goodies. I'd like to say thank you and well done to Michelle and Sister E, for organising another brilliant Respect The Fro, and for having me as a guest, I can honestly say I really enjoyed each of my experiences, and I look forward to continuing to support where I can. 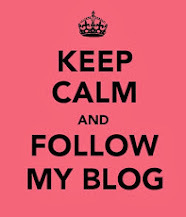 Its great to be a part of such a positive and encouraging environment where people feel comfortable enough to find their voice, ask questions, share knowledge and ultimately learn. The growing number of familiar faces at events such as Respect The Fro, shows just how important the work of those of us who are passionate about natural hair is. By simply attending, I've been able to witness the faces become more familiar, the "smiles" and "nods" turn into words and hugs, and a community of positivity and knowledge grow. It truely was a great event, I enjoyed the screening, the discussion and I loved the poetry.